This enclosure for archaeological remains at Ephesus elegantly reconciles historic conservation with accessibility for visitors. 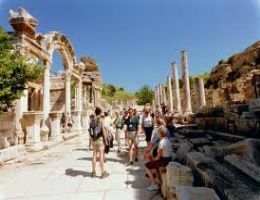 The site of a succession of great ancient civilizations, Ephesus, on the south-west coast of modern Turkey, embodied a peculiarly fertile synthesis of architecture and culture. 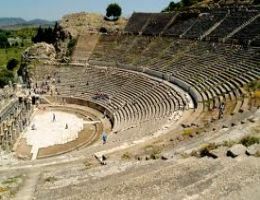 In 356BC the Greeks built the Artemesium (a colossal Ionic temple dedicated to Artemis the fertility goddess) which was one of the Seven Wonders of the ancient world. 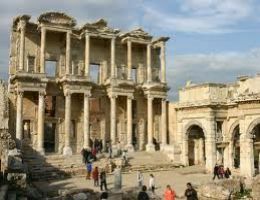 During the 2nd century BC, Ephesus was the fourth largest city in the eastern Roman Empire, famous for its Artemesium, the Library of Celsus and its medical school.